My friends and I enjoyed my trip in Mongolia. It was nice and interesting to visit to Mongolian wide steppe area and meet nomads. The trip was planned very well. Thank you for your all care. Wind in the steppe Moto festival for Mongolian travelers and foreign tourists will be held in 8-9,June near Ulaanbaatar area. The Moto festival will be open in the Chinggis Khan square in Ulaanbaatar and Mongolian moto clubs will participate in this festival. 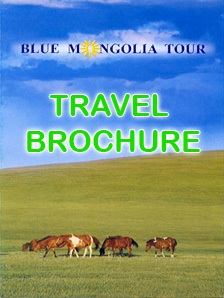 Blue Mongolia Tour agency’s international moto group will join with Mongolian moto riders in this festival. After the opening ceremony the riders will head to Zuun mod area and then to Terelj national park and some highlighted areas near Ulaanbaatar. Moto riders tourists will have nice chance to ride over the tough roads as crossing the rivers and passing through small sand dunes and vast steppe and valleys. The tourist will really feel the wild wind in the Mongolian vast steppe. In the evening of 7,June we will organize a small party for our moto riders and some members of Mongolian moto clubs. We informed to our clients that some Mongolian moto rider ladies will join with you in 1-2 hours in some part of road. The tourists did not expect and imagine that Mongolian ladies are interested in moto sports. So they are eager to see and together joining at ride in moto festival.